Join the Center for Health and Education and Be Well for Yoga Fest at Ped Walkway and HSS Lawn! 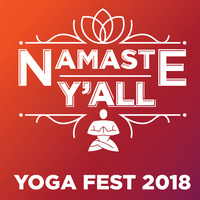 Relax and de-stress with free yoga, meditation sessions, mindfulness sessions, and activities designed to help you unwind and manage stress. Stop by to color, express gratitude, and discover the many ways you can manage stress through on-campus and community services. Drop in for the yoga or meditation session that fits your schedule. Yoga mats will be available to borrow and all sessions are beginner friendly. Free giveaways and light refreshments will also be provided.